38F with no medical history, presenting with double vision. 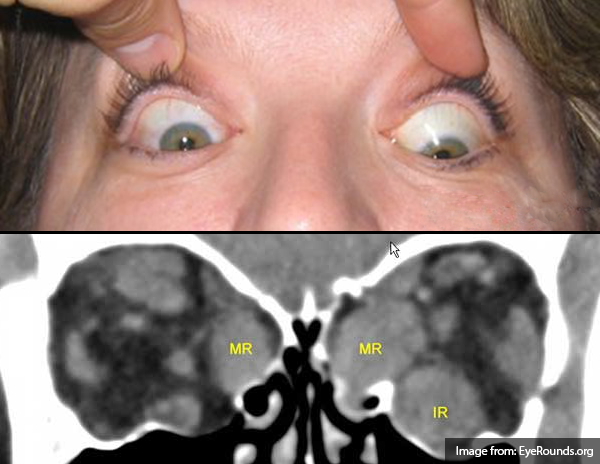 The patient reported six weeks of intermittent diplopia for which she had presented to this hospital previously. She was briefly admitted for evaluation of possible cranial nerve IV palsy. Extensive imaging was unremarkable, without mass lesion, infarction, vascular malformation, or meningeal enhancement. 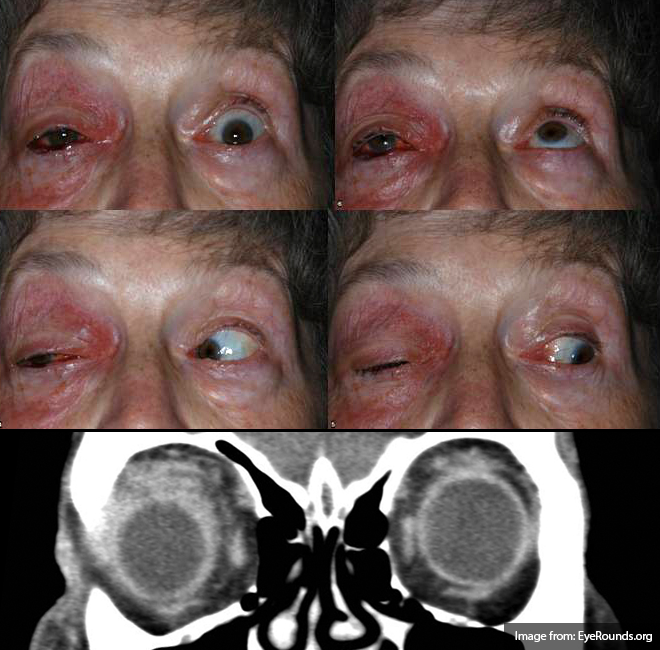 She was discharged with outpatient follow-up including ophthalmology clinic and further imaging. 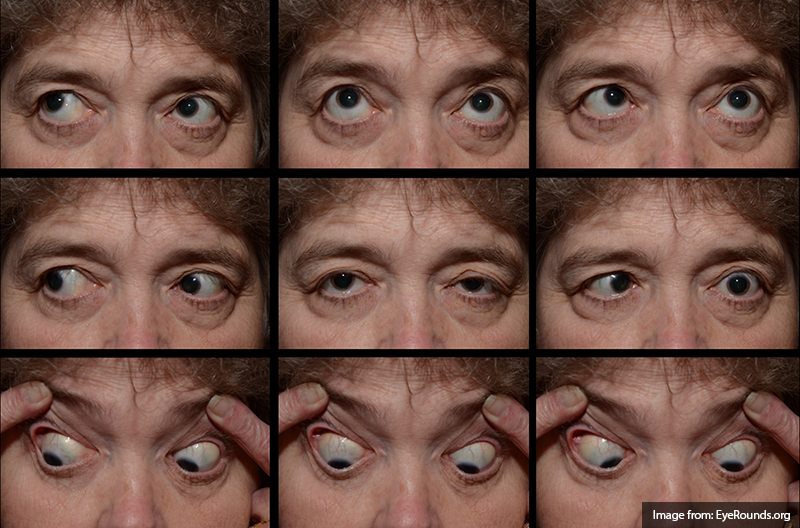 The patient represented due to persistent diplopia that is worse with right gaze. The diplopia is predominantly vertical, alleviated by head tilt. Now associated with three days of right ptosis as well as two weeks of progressive weakness and fatigue – most notable when climbing stairs. 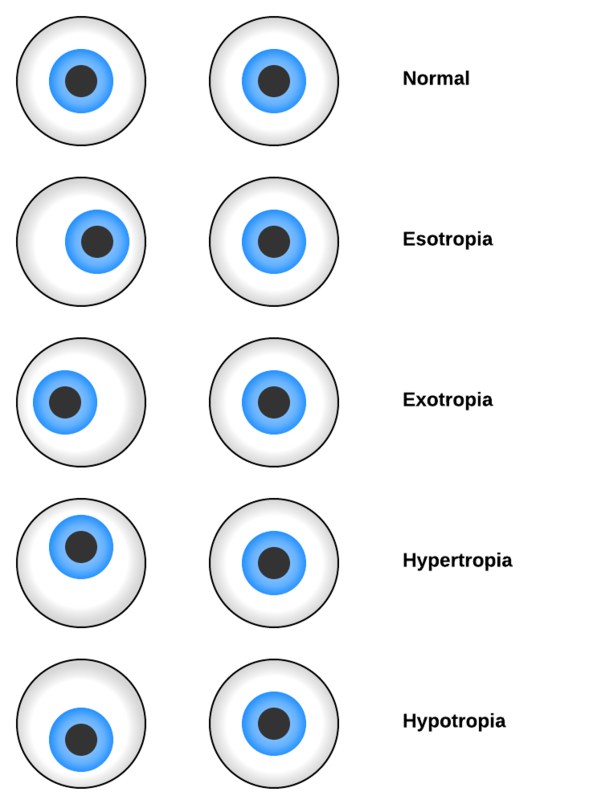 Examination notable for right hypertropia increased on right or downward gaze suggestive of isolated inferior rectus weakness. Pupils were equal and reactive. 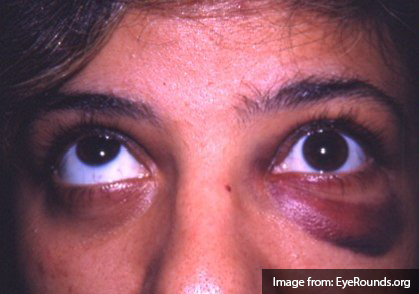 There was marked fatigable ptosis with 2mm right palpebral fissure compared to 10mm on contralateral side. Symmetrical muscle weakness was noted, 4/5 neck flexion, elbow extension, wrist flexion/extension, shoulder abduction, hip flexion. Gait was wide-based. Application of ice for 5 minutes improved right palpebral fissure opening to >7mm. Further evaluation included CXR and CT chest with intravenous contrast which did not identify a mediastinal mass. The patient’s respiratory status remained stable throughout hospitalization as assessed by measurements of forced vital capacity. On hospital day one, an edrophonium test was performed which was positive. The patient was started on pyridostigmine, completed a course of IVIG and was discharged with outpatient neurology follow-up. Guluma, K. (2013). Diplopia. In Rosen’s Emergency Medicine – Concepts and Clinical Practice (8th ed., Vol. 1, pp. 176-183). Elsevier Health Sciences.